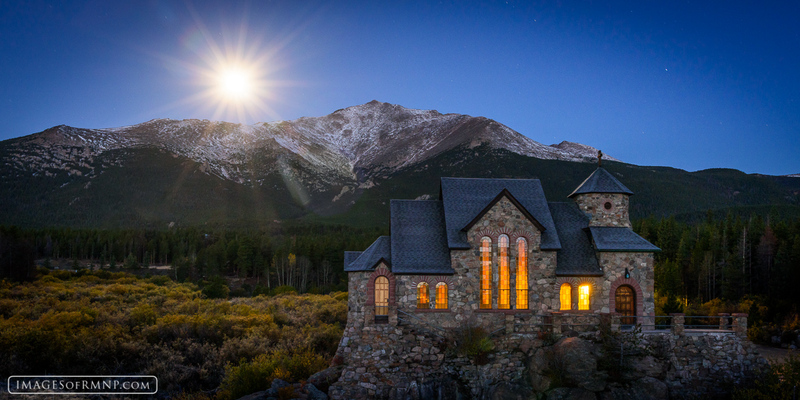 On this morning I enjoyed a beautiful view of Saint Catherine all lit up from within as a full moon set behind Mount Meeker. I've been photographing this scene for nearly 14 years and this is one of the first times I've found it lit in the early morning. I'm incredibly thankful to whoever forgot to turn off the lights as they provided us with a scene we can all enjoy. Photo © copyright by Erik Stensland.